Now that everyone knows how much we love bell peppers, we wanted to share our favorite stuffed bell pepper recipe with you. Of course we use grass-fed ground local beef. The peppers and eggplant are organic and also locally grown. When choosing your bell peppers make sure to pick shiny crisp ones, not ones that are soft, or wrinkly, as it will alter the taste and may become a bit bitter. 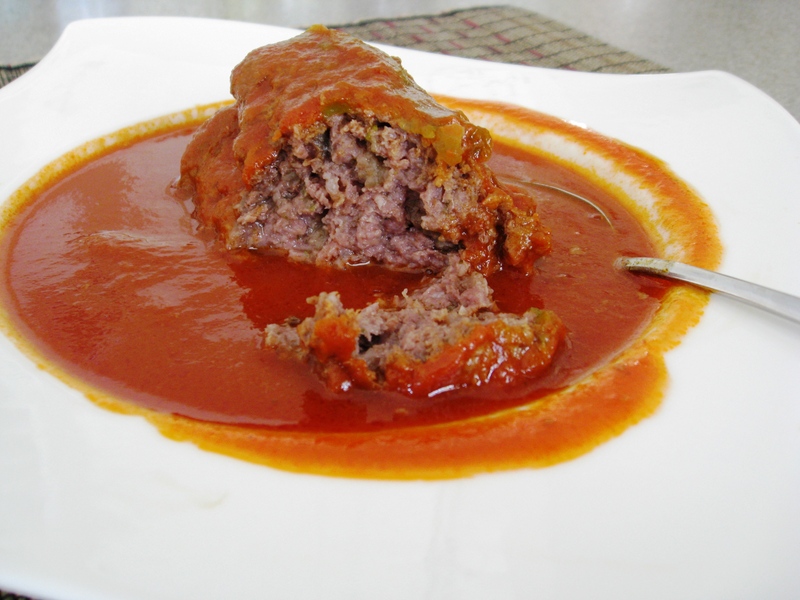 Traditional ground beef recipes, such as meat balls or stuffings such as this call for bread crumbs, or white bread, instead, we use the more delicious and healthier alternative – eggplant. Please try and enjoy our recipe for Stuffed Bell Peppers! Combine all ingredients into a large mixing bowl and mix with your hands until everything is perfectly blended. Adjust the salt and/or spice according to your liking. If you prefer to add a whole spicy serano or jalapeno pepper instead go for it, but make sure to mince them. Wash bell peppers well and carefully cut off the top on the stem side. Carefully remove seeds and any other remaining flesh inside the pepper, but be sure not to crack or split the peppers. Place a pepper in your hand and stuff with the other. Hand-stuffing ensures the least amount of damage to the peppers. If you have left over meat mixture, just roll them into meat balls and place along side the stuffed peppers when you cook them. In a large rimmed sauce pan, prepare our “Perfect Tomato Sauce”, which will serve as the base sauce for our Stuffed Bell Peppers. 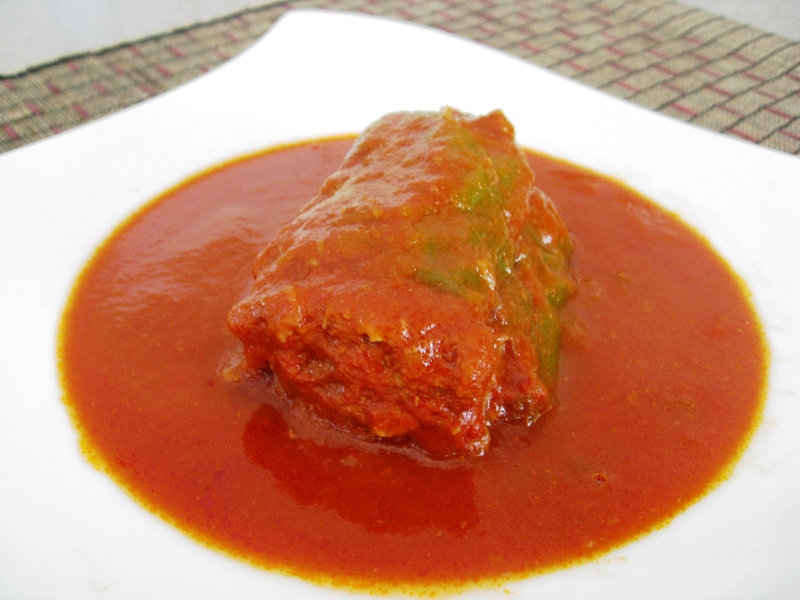 Place stuffed peppers into tomato sauce, bring to a quick boil, cover and simmer for 35 – 40 minutes on the lowest heat. Serve with spaghetti squash, mashed sweet potato, or just plain with a nice chilled butter lettuce as a side salad, as we prefer it.